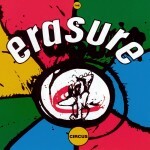 The CD edition of this album contains 3 bonus tracks. 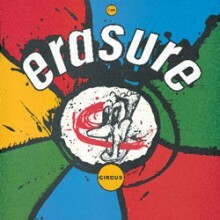 This album was also released as a Limited Edition double cassette with ‘Wonderland’ below (CDSTUMM35D). 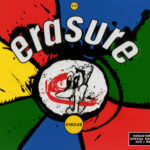 The three disc (2CD and DVD) reissue of ‘The Circus’ was released on July 4th 2011 and was available with a limited edition Erasure Information Service slipcase via the official Erasure shop. This release is also available for audio download although the DVD elements are not available digitally. Due to licensing restrictions this edition was not available domestically in the USA. ‘In The Hall of the Mountain King’ written by Greig, arranged by Erasure. Recorded at Worldwide International, The Garden, The Strongroom and The Powerplant. ‘In The Hall of the Mountain King (New Version)’ mixed by Vince Clarke. 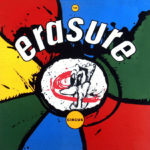 ‘Sometimes (12″ Mix)’ mixed by Erasure. ‘It Doesn’t Have To Be (Boop Oppa Doo Mix)’ mixed by Phil Harding.